"Experienced DJ Available For All Your Disco Needs"
I offer discos that can cater for your wedding, birthday, anniversary, corporate, Christmas, school, children's or teenager's party. I like to meet the person who is booking me as soon as possible after a booking is made so that I can visit the venue and discuss all of your requirements. This will therefore help to ensure your event runs exactly as you would like it. In addition, I can arrange playlists in consultation with you, to ensure that the music is right for your event. Obviously, requests on the night are welcomed and I will provide slips that can be completed by guests for their requests. I offer very competitive prices for DJ hire, tailored to your individual requirements. Please contact me for more details. I would arrive at the venue at least one hour before your event is due to start, so that I can set up the disco in plenty of time before your guests arrive. All quotes are fully inclusive. 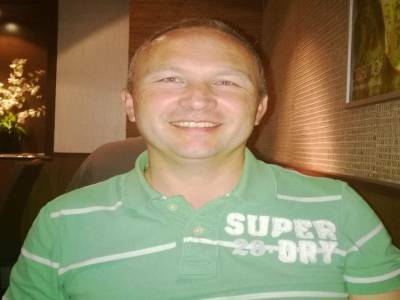 Rich, a married father of two, has over 25 years' experience as a DJ, specialising in children's and teen's parties, weddings and special events. Also a secondary school teacher, Rich is very experienced with children. Required by many venues, Rich&apos;s Party Tunes has a current PLI policy with DJGuard / in the amount of £5 million. Also required by many venues, Rich&apos;s Party Tunes has not provided satisfactory evidence of having current PAT records available. A Method Statement outlining Rich&apos;s Party Tunes&apos; Health & Safety procedure for setting up disco equipment has been provided. Why do people choose to book Rich&apos;s Party Tunes? He was a good price and one of the first to respond. I also liked his email. "I really couldn't recommend Richard more. He met with us a couple of weeks before the party to discuss the evening and our music choices. On the night, everyone thoroughly enjoyed themselves and a lot of this was down to the selection and timing of the music with Rich executed perfectly. He was also open to any requests on the night. Can't thank him enough for a great evening!" "Richard contributed to a great party. The only reason I said microphone work was poor was that he didn't need to say a lot - which was fine! My husband thoroughly enjoyed his surprise 75th birthday party, with lots of country music as requested by me prior to the event." "Richard was perfect for my daughters 14th party, all her friends danced the whole night." "Richard is a really nice guy. He did exactly what we asked of him for a very reasonable amount of money. I would not hesitate to book him again." "Rich did a great job for us. Our eclectic mix of guests kept him on his toes, but he kept the floor full. Will book him for next time. Thanks"
"I am glad the night was a great success and it was a pleasure to DJ your special event." Rich&apos;s Party Tunes also offers a range of additional party services not directly linked to musical entertainment. 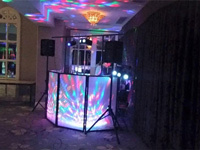 Get FREE no-obligation disco quotes from Rich&apos;s Party Tunes and other DJs covering your venue. Take 2 minutes to fill in some basic details and we'll do the rest! If you are contacting Rich&apos;s Party Tunes about an event, it's always a good idea to include the DATE, LOCATION, EVENT TYPE, AGE GROUP and TIMINGS to speed things up!